As soon as the air begins to cool around here, I get a FEVAH. 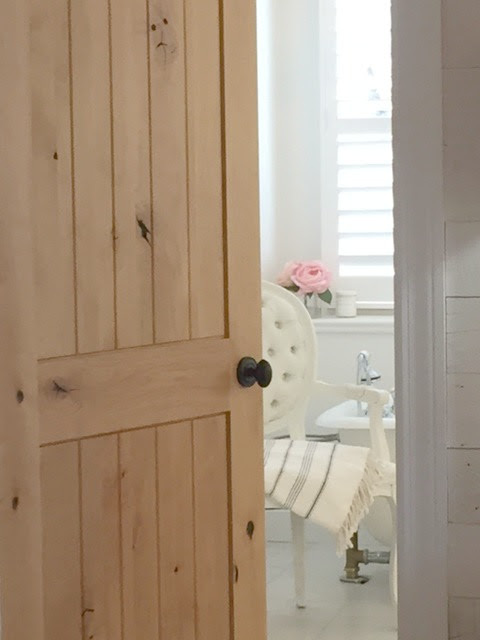 A fevah to tackle more projects around the house…including painting interiors! Paint Walls Like a Pro: DIY Help. 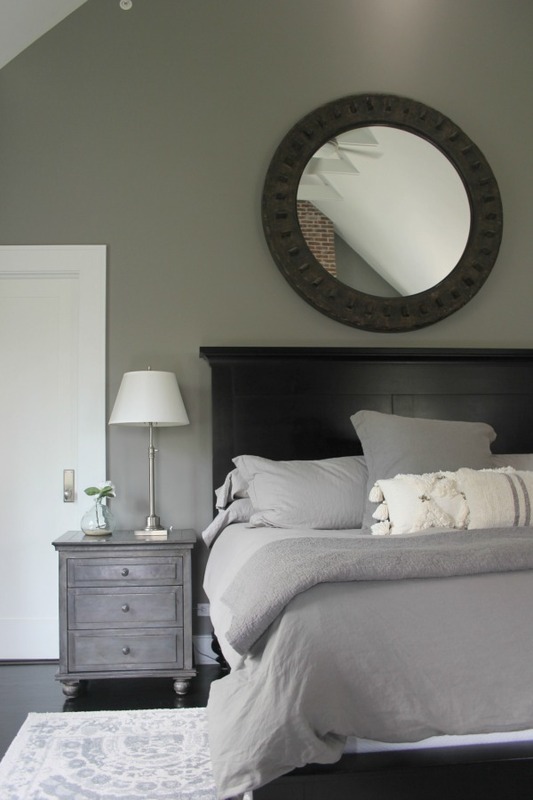 Paint color on walls: BENJAMIN MOORE Stonington Gray. See more of this living room in an 1875 historic farmhouse with modern farmhouse interiors RIGHT HERE. Photo: Hello Lovely Studio. Raise your paintbrush if you are the DIY type who climbs the ladder and rolls on paint yourself! While I may not be the best interior painter around, I must say I do enjoy it. I like the workout and the satisfaction of transforming a space with a little time and money. 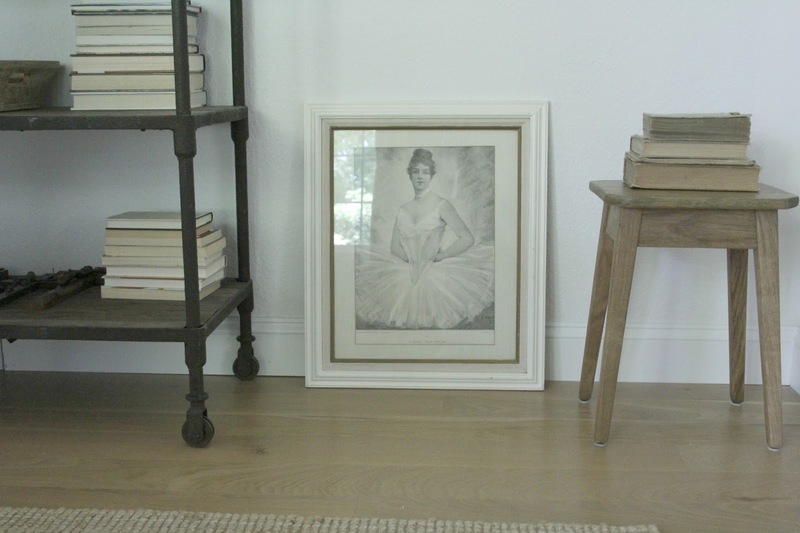 As a serial mover, my husband and I have tackled our fair share of home improvement projects, and since I truly cannot be trusted with power tools, the painting usually falls within my domain. Dozens of homes for us over the years added up to hundreds of walls to paint so I have some experience. We have also hired professionals from time to time, and there are many occasions where it is wise to leave the job to them. BENJAMIN MOORE Stonington Gray HC-170. One of the 3,000 frustrating things about our current fixer upper when we bought it? The whole home had been freshly painted with one color…and it was the WRONG color for us. (Think an “I Can’t Believe It’s Not Butter” shade of margarine.) The only upside? I guess it would have been more work to cover a darker color. Paint Walls Like a Pro: DIY Help. 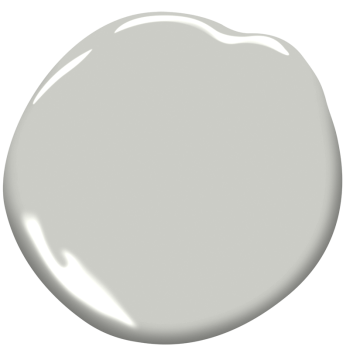 Paint color on walls: BENJAMIN MOORE White. See more of our home RIGHT HERE. Photo: Hello Lovely Studio. The exact lamps we have on our sideboard from Belgium: FIND HERE. 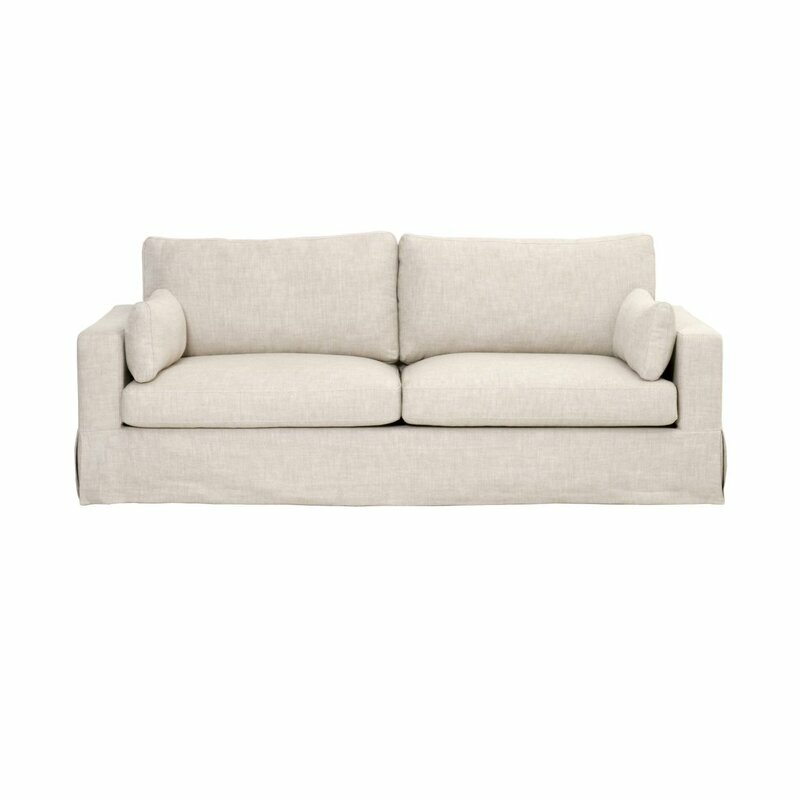 Our sofa is a Belgian linen straight arm style from RH similar to THIS ONE. How about you? Do you enjoy doing the work of painting yourself or do you think it’s for the birds? Today you’ll find some food for thought if you’re on the fence and helpful tips should you decide to get those walls painted DIY style. Paint Walls Like a Pro: DIY Help. 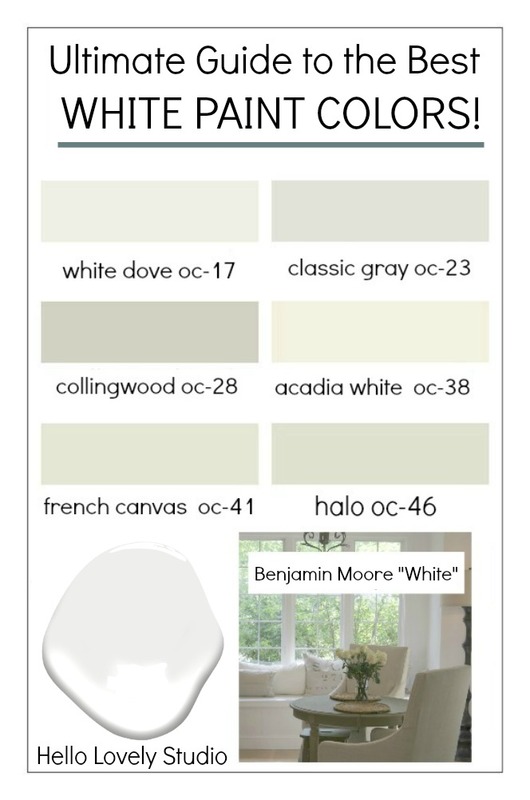 Paint color on walls: BENJAMIN MOORE White. See more of our home RIGHT HERE. Photo: Hello Lovely Studio. 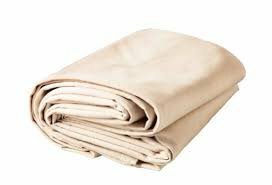 Find a Turkish bath towel RIGHT HERE. I’ll share a few paint colors that have worked well along the way as well. 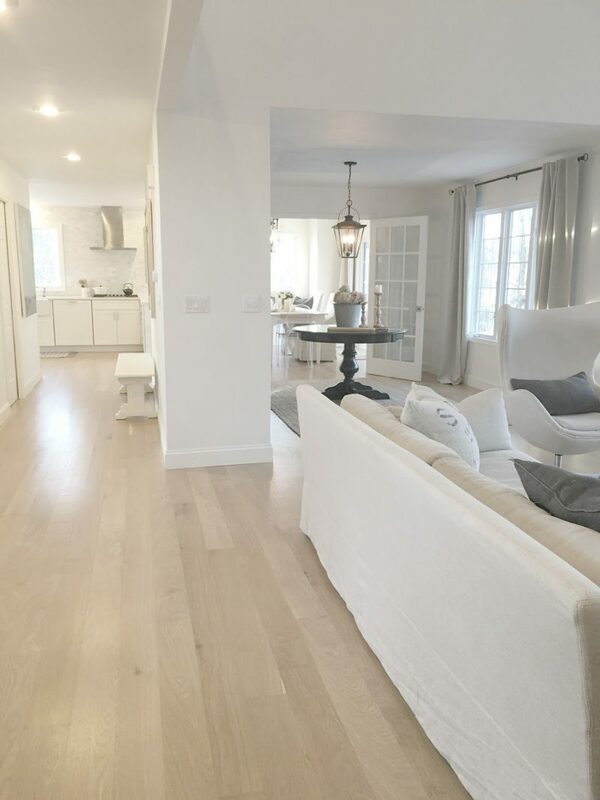 The white we used for all of our interiors: BENJAMIN MOORE White. Yep. The color is White, and don’t let anyone at the paint counter try to talk you out of this plain Jane name. It is the base white that other colors are mixed with so it is a pure, very light and bright white. Paint Walls Like a Pro: DIY Help. 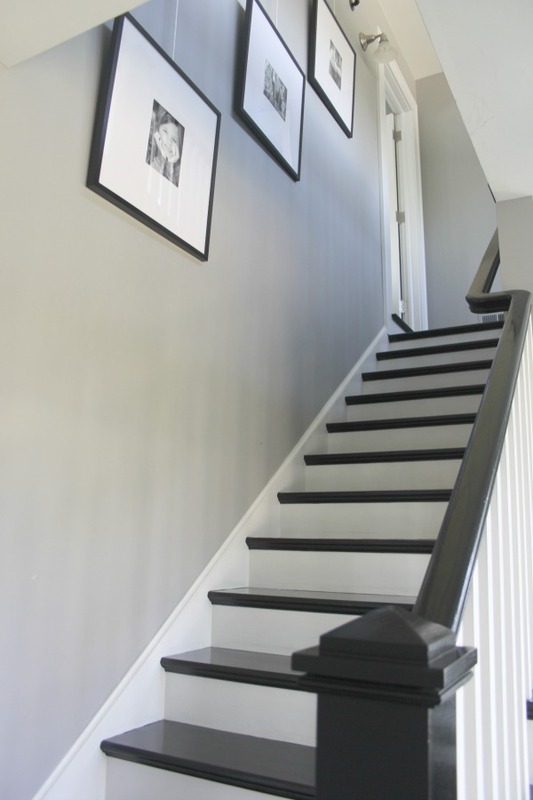 Paint color on walls: BENJAMIN MOORE Platinum Gray. See more of this bedroom in an 1875 historic farmhouse with modern farmhouse interiors RIGHT HERE. Photo: Hello Lovely Studio. Nightstand and mirror above bed: RH. Time is Money. Will you have enough time to do it yourself? Hiring a professional may save you time, labor, and headache. Let’s Avoid the ER…yes? Painting walls is a physical workout…do you have physical limitations, vertigo, shaky hands, or issues impacting your safety and health? Allowing someone else to climb the ladder is money well spent, and your joints will thank you. Paint Walls Like a Pro: DIY Help. 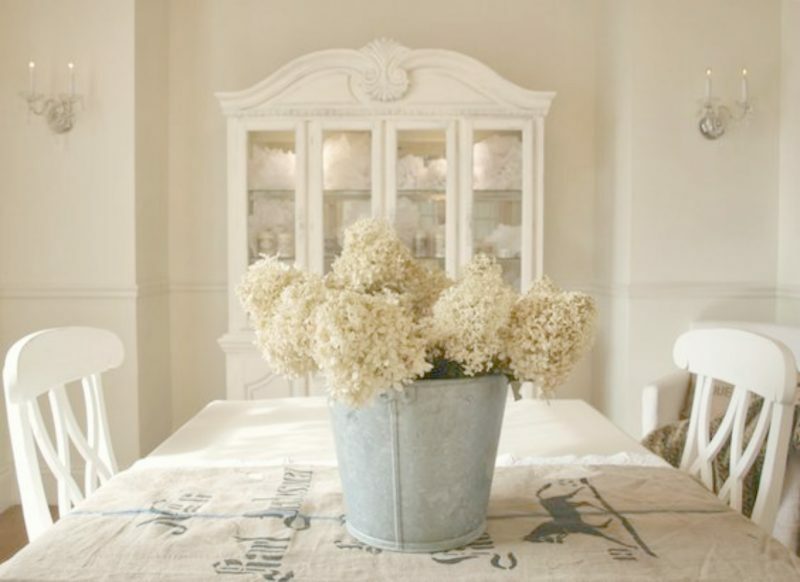 Paint color on dining room walls: BENJAMIN MOORE White. See more of our home RIGHT HERE. Photo: Hello Lovely Studio. 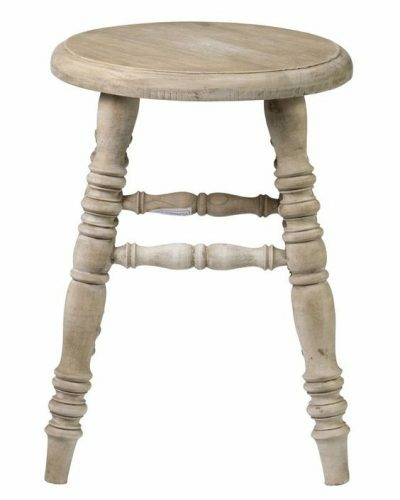 Clipped Corners Stool: FIND HERE. Scaffolding Woes. 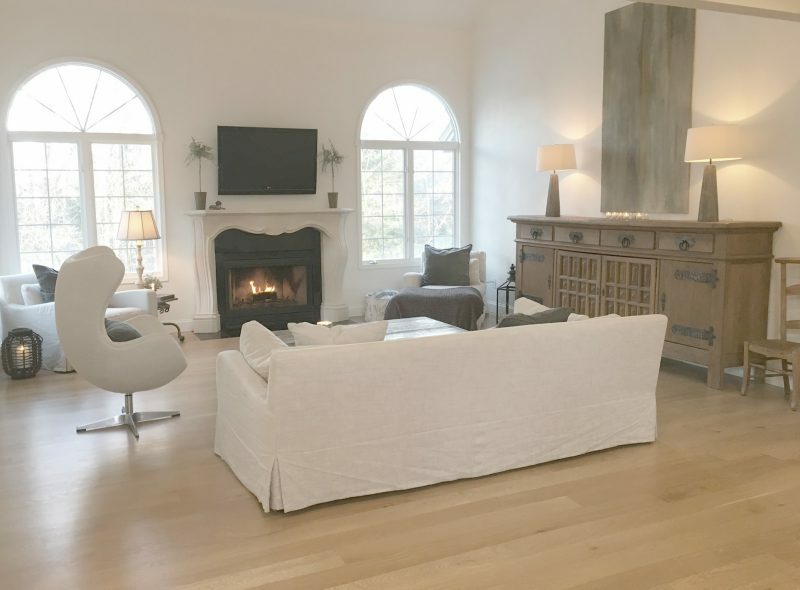 If you have high ceilings or a whole house of rooms which require paint, it’s likely a job to leave to a team of professionals with the proper equipment and expertise. 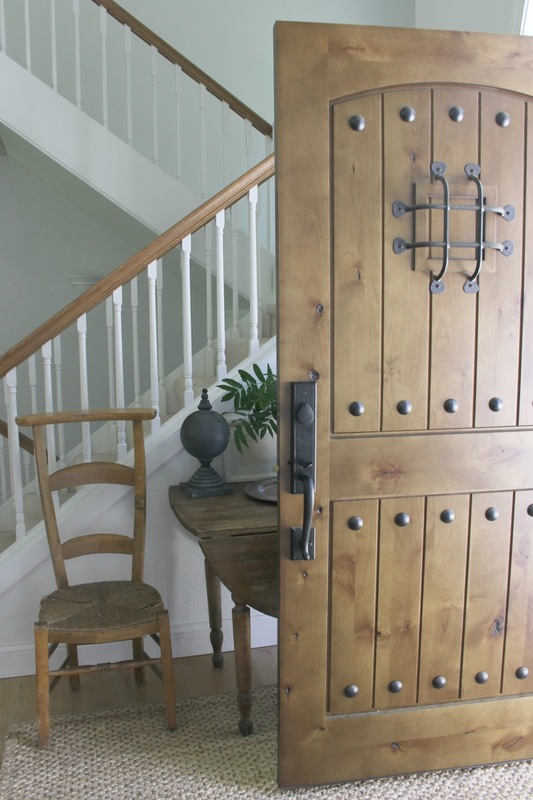 When we built our prior French Country home, we left all of the interior painting to a team of professionals who used high tech sprayers and knocked out the job in no time. Paint Walls Like a Pro: DIY Help. 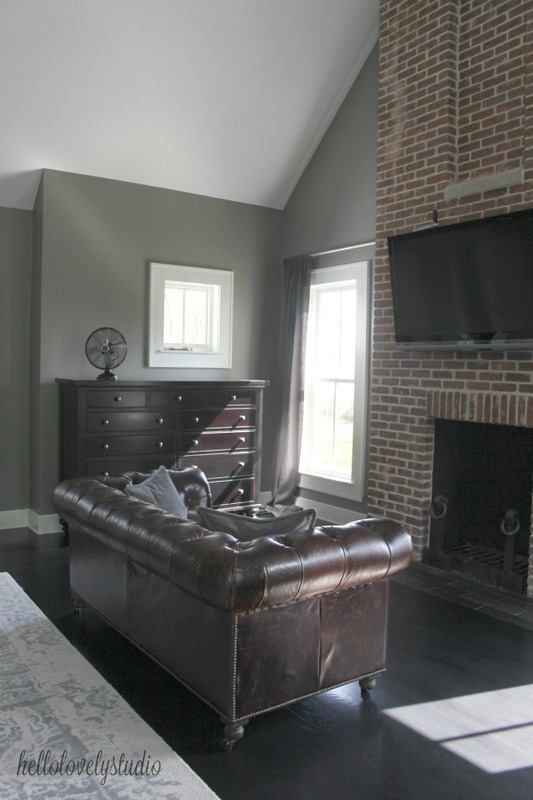 Paint color on walls: BENJAMIN MOORE Platinum Gray. See more of this bedroom in an 1875 historic farmhouse with modern farmhouse interiors RIGHT HERE. Photo: Hello Lovely Studio. Find a brown leather tufted Chesterfield sofa HERE. Money Talks. Have a budget to pay for the the work to be done by professionals? Lucky you! Go pro, mama. Paint Walls Like a Pro: DIY Help. Paint Colors in our former dining room: Benjamin Moore White Sand (walls) and White Dove (furniture). Photo: Hello Lovely Studio. Grain sack on table: A Beautiful Mess Home. My go to whites: In our prior home, we had most of our walls painted Benjamin Moore White Sand, and here at the fixer upper, the bright white that worked best was Benjamin Moore White (yep, that’s right, W H I T E…the folks at the paint counter are destined to make you repeat the underwhelming mono-syllabic name of this color!). 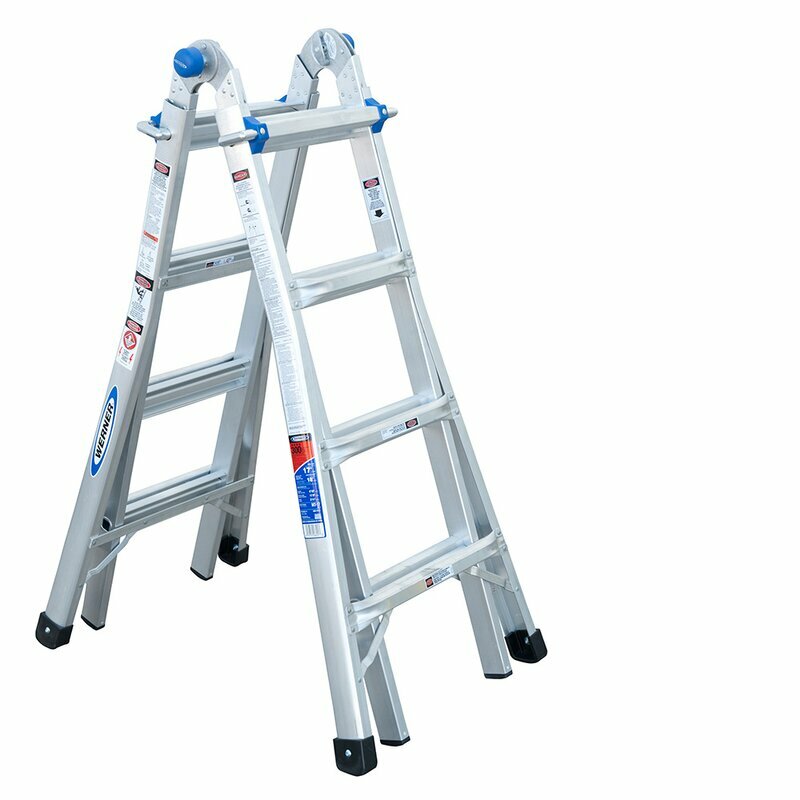 Need a cool telescoping ladder for the job? Paint Walls Like a Pro: DIY Help. 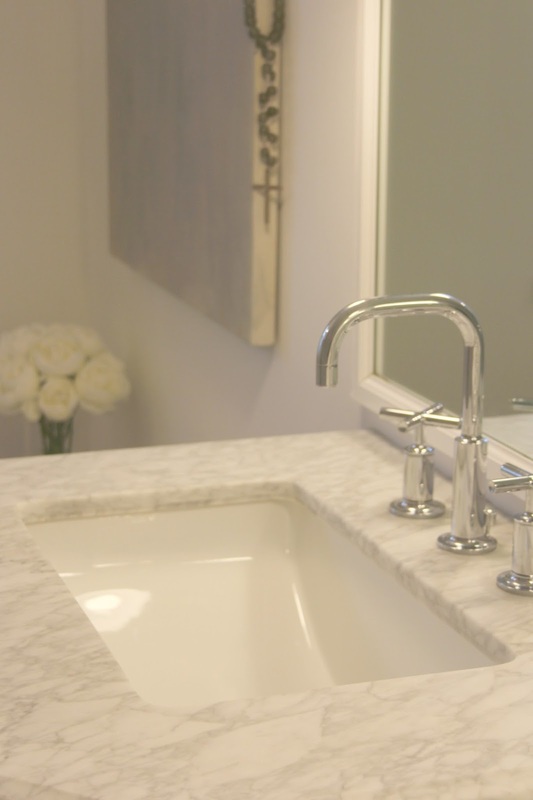 Paint color on our bathroom walls: BENJAMIN MOORE White. See more of our home RIGHT HERE. Photo: Hello Lovely Studio. 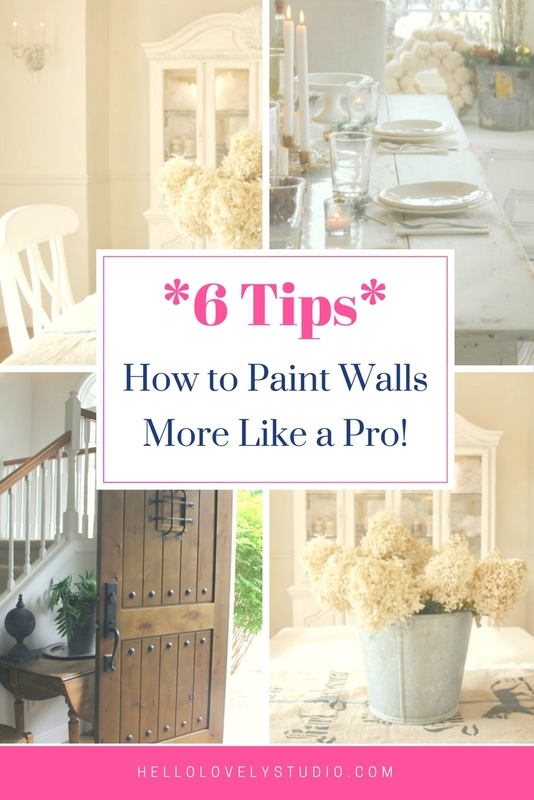 If painting an interior is a new adventure for you, I hope these 6 TIPS TO HELP will keep your stress level low and the WOW factor high. Remove furniture, lamps, and objects from the room or move them away from walls. Remove outlet and light switch plates to save time and effort taping off those areas. Cover the floor with a dropcloth. Prep work is important when you want to execute it like the pros. Repair any wall damage, cracks, and holes with joint compound or spackle. Allow to dry completely, then sand and smooth. Remove any dust by wiping down and vacuuming wall surfaces. You will most likely need to mask off with painter’s tape those areas you don’t want painted (trim, light fixtures, etc). 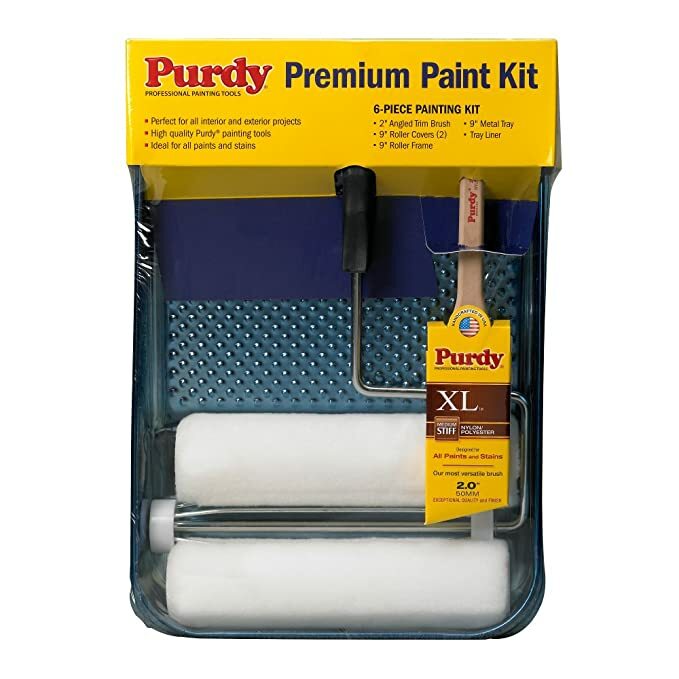 To cut in, use an angled 2 1/2″ or 3″ quality paintbrush, using light pressure and smooth strokes. Move around the room, along the edges, as fast as you feel comfortable, keeping a wet edge. First cut out the wall – ceiling, then corners, then around outlets, then windows, then vents, and then the wall – floor. When the room is cut in entirely, you’re ready to roll. For rolling, start at the top of the wall and work your way down. Load your roller with paint and roll it on the wall in a W pattern. Then, fill in the W area with paint. Work quickly and keep a wet edge moving along the wall. If you notice you missed a spot, let it dry, keep moving, and go back later for touch-ups. Paint Walls Like a Pro: DIY Help. 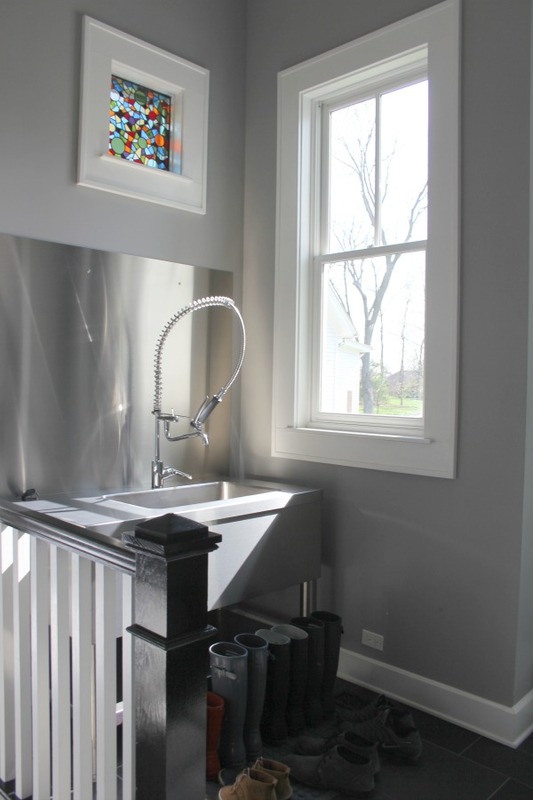 Paint color on kitchen walls and window seat: BENJAMIN MOORE White. See more of our home RIGHT HERE. Photo: Hello Lovely Studio. I love learning smart new tips, so if you have any…lay ’em on me! Paint Walls Like a Pro: DIY Help. 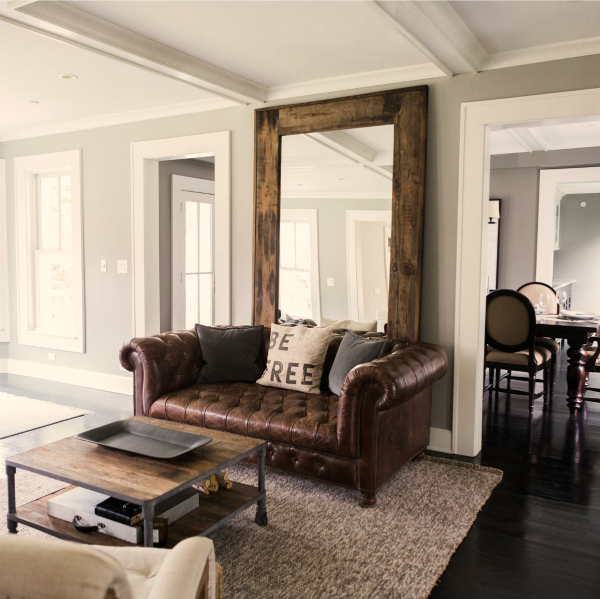 Paint color on living room walls: BENJAMIN MOORE White. See more of our home RIGHT HERE. Photo: Hello Lovely Studio. This is Tres Tray Smart. (See what I did there?) Line your paint tray with a disposable insert, aluminum foil, or a plastic bag for easier clean-up and less paint down the sink drain. Glove Love. Consider wearing disposable gloves to avoid messy hands and to store paint brushes that you don’t want to dry out. And don’t forget a mask…your lungs will thank you. Paint Walls Like a Pro: DIY Help. 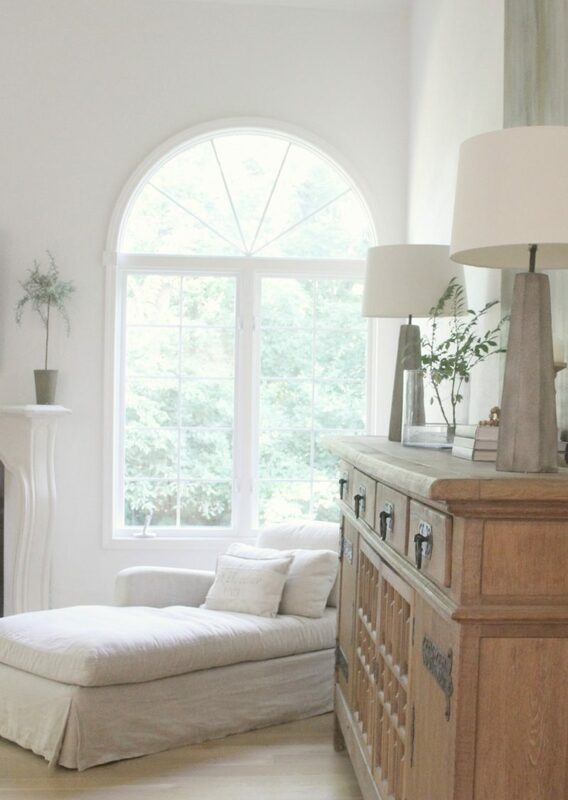 Paint color on all walls: BENJAMIN MOORE White. See more of our home RIGHT HERE. Photo: Hello Lovely Studio. Not Just for Laundry. For easier paint brush cleanup, add fabric softener to the water in which you soak brushes to prevent dryness and hardening of the bristles. Paint Walls Like a Pro: DIY Help. 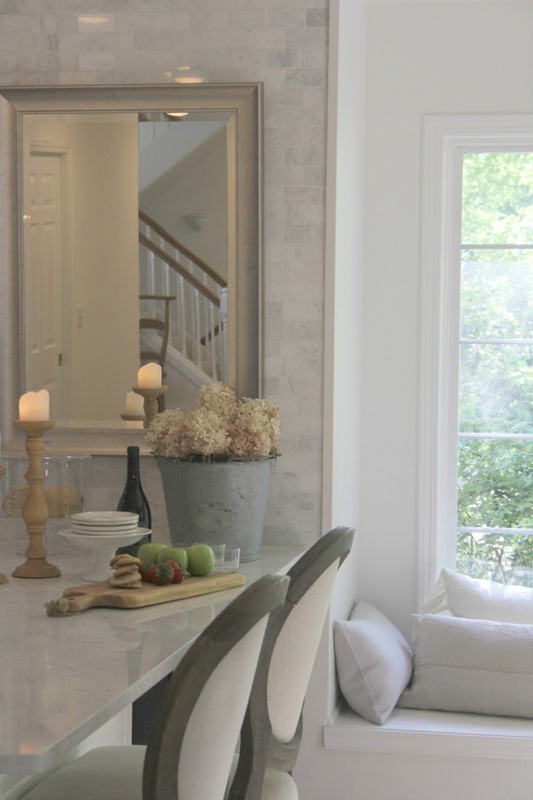 Paint color on all walls: BENJAMIN MOORE White. See more of our home RIGHT HERE. Photo: Hello Lovely Studio. Find a round wood pedestal dining table RIGHT HERE. Find farmhouse lantern pendant light options HERE. Paint Walls Like a Pro: DIY Help. Paint color on our entry walls: BENJAMIN MOORE White. See more of our home RIGHT HERE. Photo: Hello Lovely Studio. Vintage prayer chair is from France. Find a natural jute area rug RIGHT HERE. 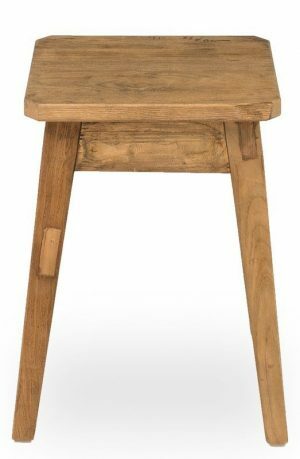 Teak farmhouse stool: FIND HERE. Paint Walls Like a Pro: DIY Help. 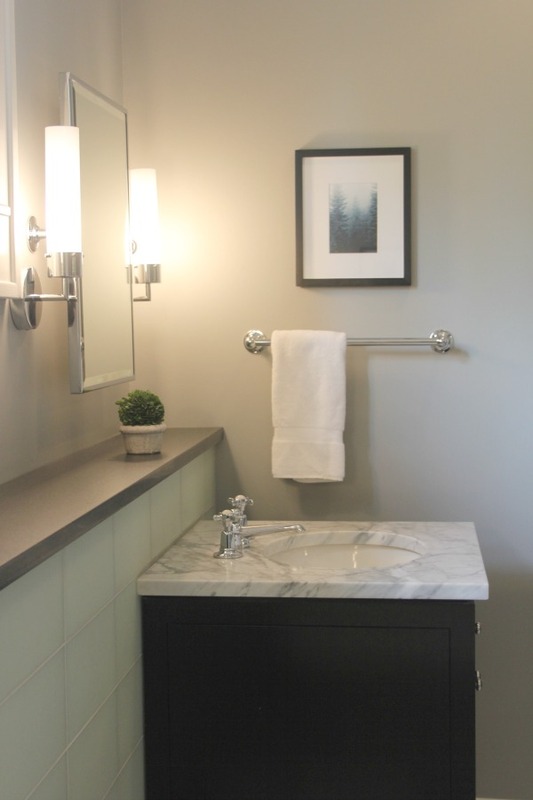 Paint color on our bathroom walls: BENJAMIN MOORE White. Paint color on Ikea Molger bench: BENJAMIN MOORE Revere Pewter. See more of our home RIGHT HERE. Photo: Hello Lovely Studio. 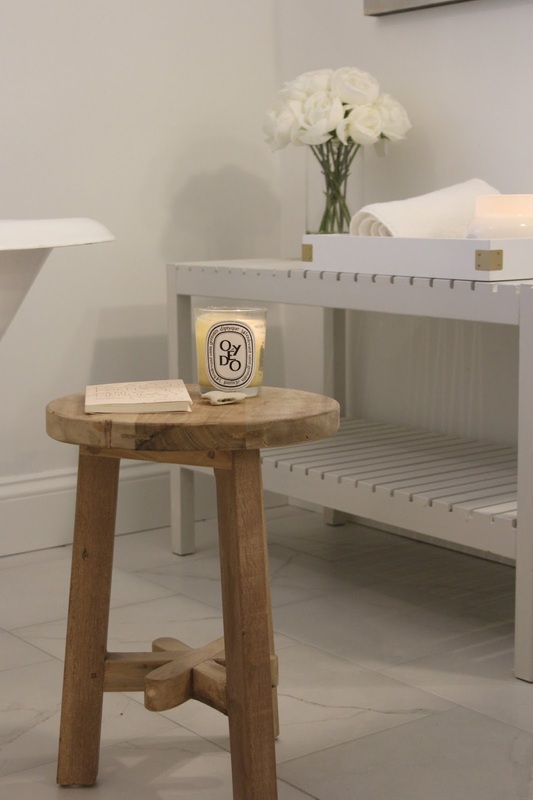 Diptyque candle: FIND HERE. I once knocked over a gallon of paint and have never been soooooo glad that my drop cloth was one of those high quality more expensive ones! Not a drip of paint bled through to the creamy porcelain tile floor! Any painting horror stories to share? 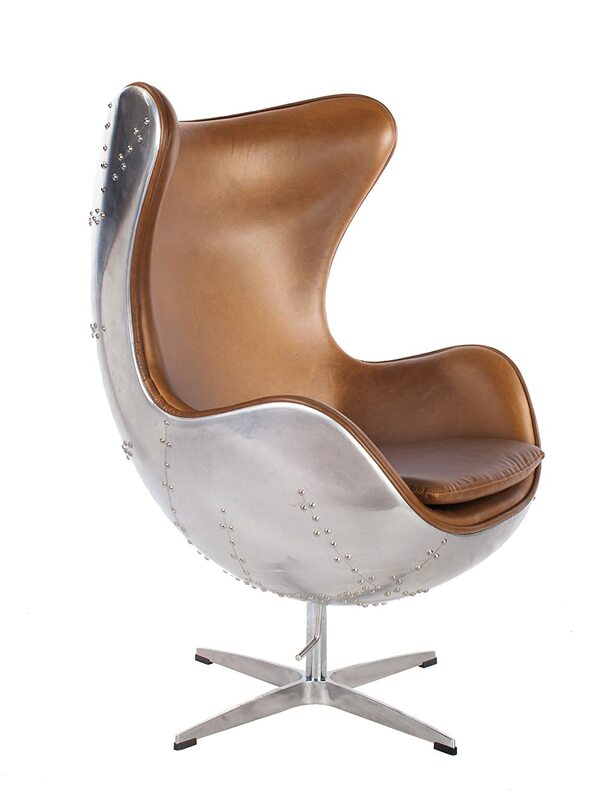 Hello, I love your white leather( I believe) chair in your living room. Can you tell me where you got it or where I can get one like it. Thank you. Great tips. I paint often these work every time. I love how you share so many products with us! I tried a candle that I love but have misplaced how to reorder. It is in a lidded mercury glass container and the scent is Capri blue. It is wonderful & I would appreciate any help you can give! AWESOME tips and inspiration Michele! Perfect timing with my current kitchen refresh project! One home was built in 1910 and had exterior wood siding that I decided to burn all of the paint off in order to start fresh….I would do it at night when the kids were in bed and a neighbor finally came over and begged me to stop b/c he was afraid I would set the old wood siding on fire with the heat gun! I managed to do the entire rear of the home before I gave up.